Representatives of Science, Philosophy and Arts created a unique polyphony in an attempt to construct and deconstruct the concept of Love. Professor of Ancient History and Classics at the Institute for Advanced Study, Mr. Angelos Chaniotis, Professor in the Department of History and Archaeology at the University of Crete and Director of the Museum of Cycladic Art, Mr. Nikos Stampolidis, Psychiatrist - Psychoanalyst and Honorary President of the Hellenic Psychiatric Association, Mr. Nikos Tzavaras and scriptwriter Ms. Mirella Papaoikonomou shed light upon the various interpretations attributed to the concept of love, which, as a subject itself, has been a driving force for human expression and creation. The discussion was moderated by journalist Anna-Kynthia Bousdoukou. During the event, the speakers also discussed those conditions that may predetermine our choices in love, and the influence of role models and family backgrounds. The timelessness of love was at the heart of the discussion, along with its multiple transformations which we encounter in different forms of art throughout the history of humanity, focusing on the representation of eros in different manifestations of ancient Greek art. 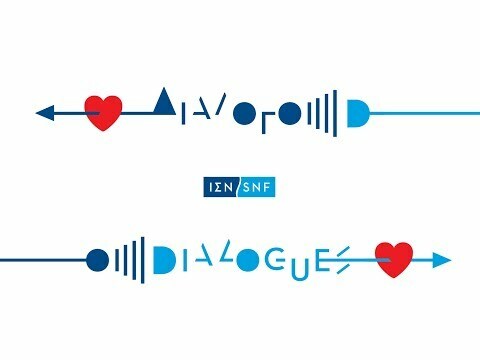 The next DIALOGUES will be held on March 21, 2018. More information will be available soon.